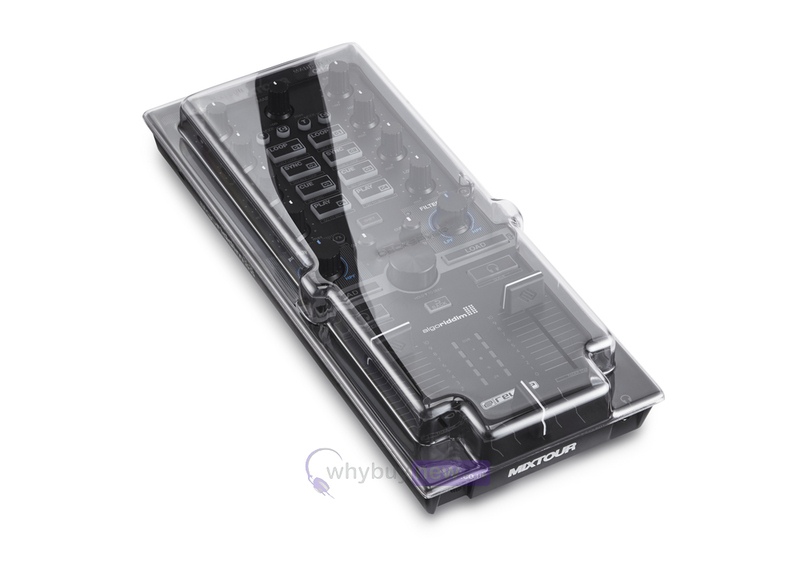 The Decksaver Reloop Mixtour Cover is a smoked/clear cover designed specifically to fit the Reloop Mixtour DJ controller. 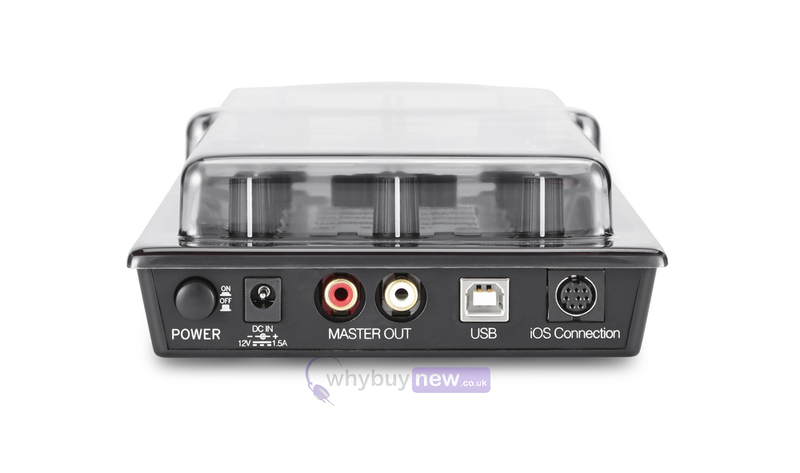 The cover fits the controller snugly and is made from high quality, durable polycarbonate plastic which keeps the controller away from dust, liquid and protects it from knocks and bumps. 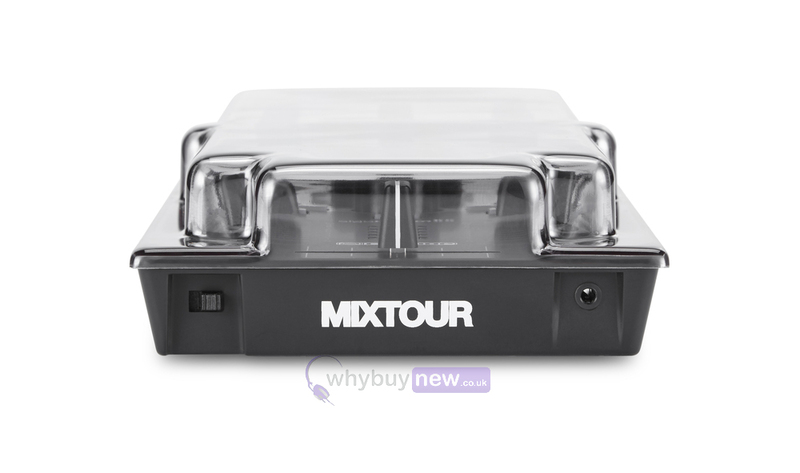 At home, on the road or in the club, Decksaver has your Reloop Mixtour covered. 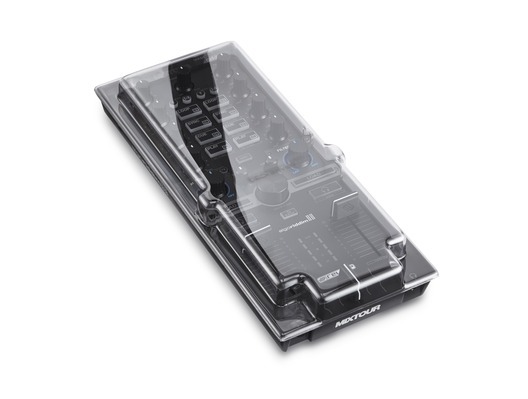 A must have for any DJ. Ok, it’s plastic, it’s not cheap but for the job it does it can save you a lot more! With the Mixtour you can throw this into most bags to carry but unless you want to risk bent faders and knobs or key scratches and generally also rtfs of horribleness getting into your faders then it’s worth getting one even if it’s just sat in a studio or bedroom at least if yo drop something onto your Mixtour it will be protected. The lid sits on and does not clip on so if you do travel I would simply pop an elastic band around it to keep the lid in place, easy easy lemon squeezy!